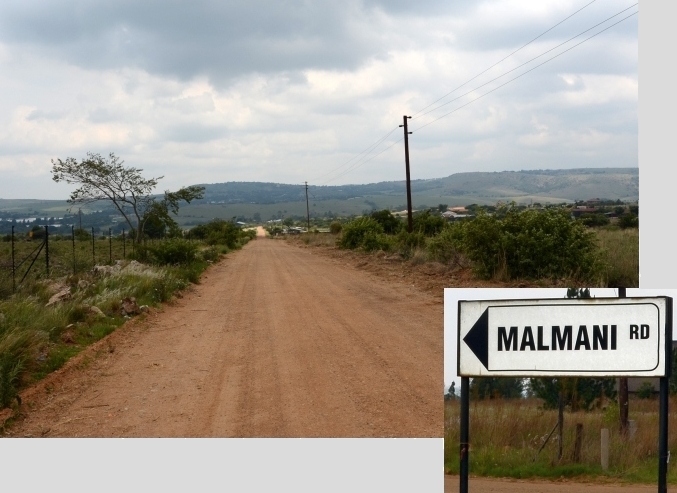 The main road servicing Sterkfontein Country Estates is called “Malmani Road”. The name refers to the geological formation on which the estate is located. I am sure most residents realise that we live on a type of rock called dolomite. If not, one must take cognisance of the fact that this type of rock is prone to the formation of caves and sometimes sinkholes. Water management near your residence is of the utmost importance, as leaking pipes and septic tank/French drains could lead to the formation of sinkholes. It’s for this reason that the Mogale City Municipality has banned all septic tanks at Sterkfontein Country Estates and that you must have permission from the Council for Geosciences before you can build a house. These rules are for your own safety. 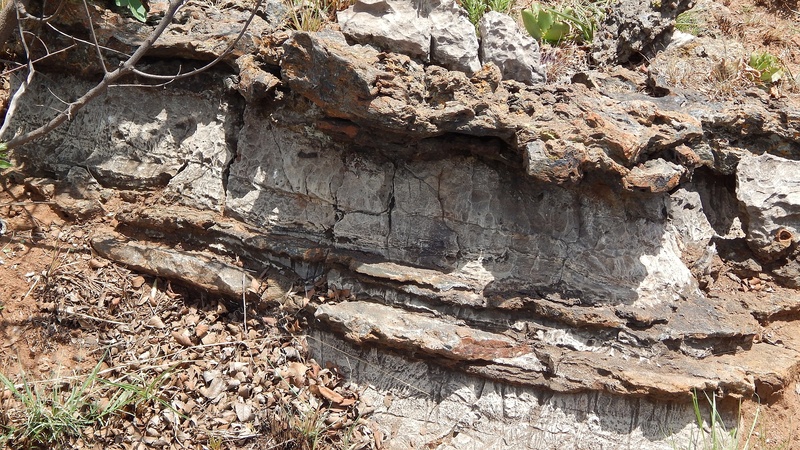 The sedimentary rocks in our region are as follows from oldest to youngest. Deep below us and to the south of us in Krugersdorp and Randfontein are the rocks of the Witwatersrand Supergroup. It’s in these rocks (mostly quartzite and shale) where gold is found for which South Africa was so famous worldwide. Above these rocks, are the rocks of the Transvaal Supergroup. These rocks were formed in an ancient and relatively shallow sea that covered our area between roughly 2.6 and 2.2 Billion years ago (that’s 2 600 Million and 2 200 Million years ago! That’s an incomprehensible long time ago!!!). 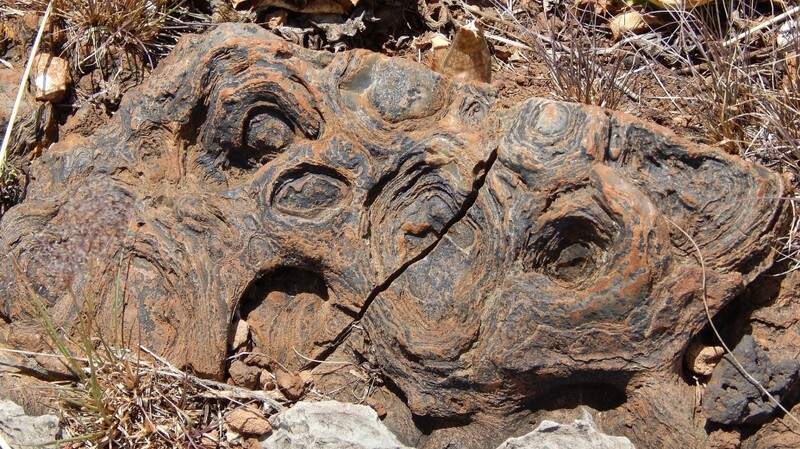 These rocks were formed on an earth that was quite alien when compared with the earth today. For starters, there was no free oxygen in the atmosphere, so there was no place for animals that breathe oxygen. For that matter, there were no plants around either; the only life forms during those times were primitive bacteria. The first “layer” of rock of the Transvaal Supergroup that was formed immediately above the Witwatersrand rocks is called the Black Reef. This “layer” was formed when rainwater and rivers washed pebbles, formed by the erosion of the Witwatersrand ridges to the south of us. The mud, sand, grit and pebbles eroded off these mountains filled ancient riverbeds and canyons. Due to the absence of plants binding the ancient soils, erosion occurred at a much more rapid rate and more sediment was washed down these ancient rivers into the ancient sea. Although the Black Reef on average is usually less than 10-m deep, in certain areas to the south of us, these in-filled ancient river beds and canyons formed deep “layers” of black reef of over 100-m deep in places. 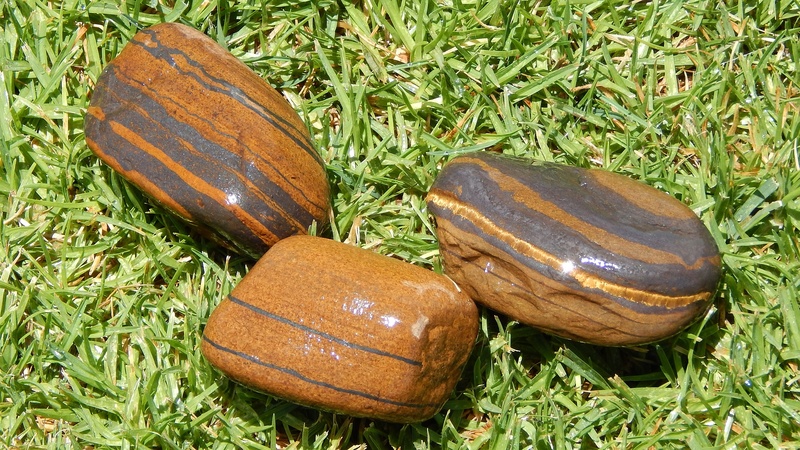 Of course, as there was gold in the Witwatersrand rocks, this gold was also selectively deposited among the pebbles of the Black Reef. After the Black Reef was formed, something very special occurred in this ancient sea (referred to as the Malmani Sea). A certain type of bacteria with the ability to photosynthesise established themselves in this sea. As you may recall from school biology, during photosynthesis, carbon dioxide is used up and together with the energy from the sun, organic matter is produced from the carbon dioxide. As a by-product, oxygen is released. This group of bacteria are collectively called the blue-green bacteria or the cyanobacteria. Although some of the cyanobacteria occurred as free-living organisms in the water, some formed colonies, which resembled today’s coral reefs. Of course today’s coral reefs are relatively colourful and formed by animals, while these “reefs” of cyanobacteria were a dark bluish-green colour. These cyanobacterial colonies had sticky/slimy layers around the outside of the colony and sand and mud in the water washed off the mountains, stuck to this sticky layer. Every rainy season, sediment would stick to the colony, while during the dry season when there was less mud in this sea; the bacteria would grow through this layer in order to re-expose their chlorophyll to the rays of the sun. This occurred every season and every year a new layer of mud and sand accumulated on the colony, slowly increasing it in size. As this sea filled up with sediment over millions of years, these colonies eventually turned to stone (fossilised). As there was sufficient mud on the slimy layers of these bacterial colonies, their remains are still visible today. These fossils are called “stromatolites”, from the Greek “stroma”, meaning mattress, bed or stratum and “lithos”, meaning rock. However, these bacterial “coral reefs” are not just famous for their ability to turn into fossils called stromatolites, they are more famous for altering the chemistry of the sea in which they lived. By doing so, they eventually turned the atmosphere of the earth into an oxygen-rich atmosphere, paving the way for us animals (yes, we are animals!) to evolve! Furthermore, by removing the carbon dioxide from the seawater (for them to photosynthesise), they gradually decreased the acidity of the water, making it more alkaline. This caused some of the dissolved substances in this seawater (mostly metals), to begin to precipitate out of solution, as they could no longer remain in solution in an alkaline environment. Two of the metals that were plentiful in water in those days, were calcium and magnesium. When these two metals precipitated out of solution, they formed a compound called calcium-magnesium carbonate, or dolomite. In our area, the dolomite would eventually form a layer several kilometres thick. In addition to the formation of dolomite (a chemical precipitation process), during each rainy season, more silica-rich mud/sand/grit would be washed into this sea. This sediment would settle on the recently formed dolomite, as muddy layers. Then more dolomite would precipitate on top of these silica layers. Eventually, and over millions of years, the weight of all the sediment on top of the alternating layers turned everything to stone. The silica-rich sediment layers in the dolomite are called chert and can clearly be distinguished from the whitish-grey dolomite. From our perspective (as oxygen-breathing animals) the most important thing these cyanobacteria did, was to release free oxygen into the earth’s atmosphere. Previously, all the oxygen on earth was in combination with another element or element group. Calcium carbonate (or limestone) is such an example. Although it contains oxygen, we can’t breathe limestone! For millions of years oxygen released by the cyanobacteria did not get very far. It was merely “used up” by combining with other elements in the water. But after many more millions of years, the earth eventually began to have free oxygen in its atmosphere, paving the way for the development of higher animals and plants. At one stage, our part of the earth became a drier place and the Malmani Sea began drying up occasionally. This stopped the formation of dolomite. However, the deposition of the silica-rich sand/mud/grit in this sea continued and these sediments eventually turned into about 7 Km of stone (in our area), mostly shale and quartzite. The Magaliesberg to our north is roughly the top part of the Transvaal Supergroup. To make things easier, geologists divided the Transvaal Supergroup into groups. The upper layer of quartzite and shale (Magaliesberg, Daspoort range and the other ridges to the north of us) is called the Pretoria Group, whilst everything else below it (down to and including the Black Reef) is referred to as the Chuniespoort Group. The dolomite in this Chuniespoort Group is referred to as the Malmani Sub-Group, and that is where our road got its name… It’s named after the Malmani Sub-Group, which refers to the dolomite on which we all live! Note: At the HOA AGM of 23/05/2009, residents were asked to propose names for our road and Garfield Krige (SCE 129) suggested the theme of our local geology. He explained that the suggested names come from the unique geological features of our area. The majority votes went for Malmani Road as a name for our main road, as we did not want yet another Cave Road or another Sterkfontein Road, etc.